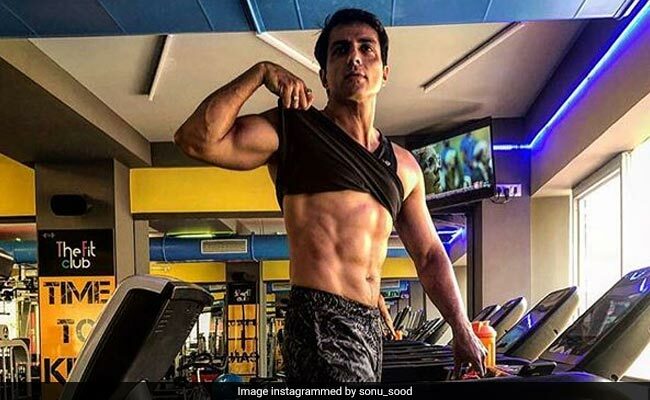 Fitness Lover Sonu Sood's Workout Videos Are Simply Wow! 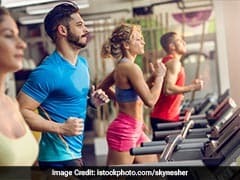 Home » Living Healthy » Fitness Lover Sonu Sood's Workout Videos Are Simply Wow! Sonu Sood gives us fitness goals through his excellent physique and Instagram videos. Here's a sneak peak into the actor's fitness regime. Sonu Sood's Insta bio reads, "Actor, fitness lover, learner"
We saw him in Singh is King, Ramaiya Vastavaiya and Happy New Year, but the one thing we always admired was his excellent physique. Yes, we're talking about Sonu Sood! The actor literally gives us fitness goals through his excellent physique and Instagram videos. His Insta bio reads, "Actor, fitness lover, learner". Well, you truly are all of these Sonu! The fitness freak actor manages his work life and gym routine like a pro. So if we try to sum up Sonu Sood in three words, they will be, "Fitness, acting and well, fitness again"! Building and maintaining a physique like Sonu Sood is not a child's play; it takes a great deal of hard work and dedication. The actor spends 2 to 2 and half hours in the gym every day. He starts with a cardio session of 20 minutes including exercises for abs. After this, the rock solid Sonu moves to the weight training section. But that's not all, the actor jogs for 40 minutes other than his gym training sessions. There are some amazing workouts which Sonu Sood swears by. The actor has posted videos of these workouts on social media and we are so in awe of his workout regime. Here are 6 such exercises fitness freak Sonu Sood swears by. Sonu Sood practices pull ups for upper body. This exercise helps strengthen the body, improves stamina and concentration. Most importantly, pull ups strengthen grip and promote weight loss as well. Sonu Sood practices this for chest and for improving body weight. Parallel bar dips helps in stabilizing and activating muscle groups. It requires control over the bod. It might seem difficult but you should see how easily Sonu Sood practices it! Chest press affects Sonu's chest, back muscles, shoulders and triceps. This simple exercise strengthens the upper body and builds body mass. Suno Sood's workout routine involves regular exercises like push-ups as well! We almost thought that this man only does complex workouts. Push-ups are a common exercise which activates the entire body and increases functional strength. Push-ups also improve the cardiovascular system which then helps reduce body fat. This form of exercise is great for the abdomen and the lower back. Although hanging leg raises demand a lot of strength, it is great for improving balance of the body. It does not stress the spine or lower back much but is still really effective in burning body fat. No wonder Sonu Sood has such a lean body! This exercise mainly focuses on strengthening your calf muscles; one of the reasons why Sonu has perfect calve muscles. Besides this, the actor swears by the benefits of swimming, cycling, brisk walking, kick-boxing and yoga as well! Sonu Sood follows a healthy diet. He is a vegetarian but eats eggs to make up for protein requirements. His meals include foods like fruits, wheat flakes, omelets, dal, roti, curd, salads, and brown bread. It is the perfect diet to support the perfect body! More power to you Sonu Sood!